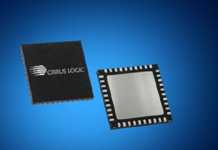 Analog Devices, Inc. (ADI) announced a state-of-the-art synthesizer consisting of a phase-locked loop (PLL) with fully integrated voltage-controlled oscillator (VCO) as well as integrated low dropout regulators (LDOs) and integrated tracking filter technology. 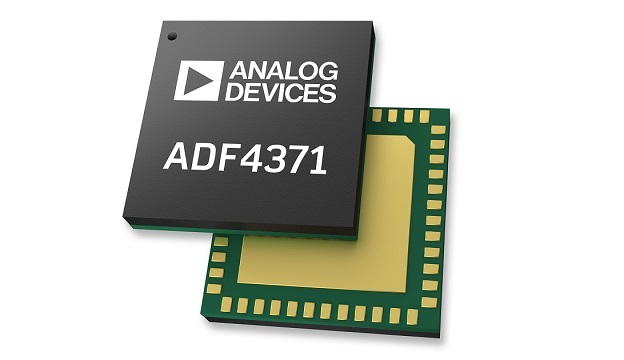 The new ADF4371 supports RF/microwave system designs that must meet the most exacting next-generation requirements across multiple markets, including aerospace and defense, test/measurement, communications infrastructure, as well as high-speed converter clocking. 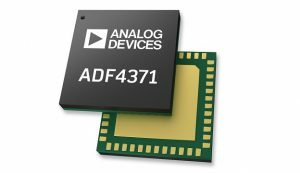 The ADF4371 facilitates implementation of high resolution (39-bit) fractional-N or integer-N PLL frequency synthesizers when used with an external loop filter and an external reference source. 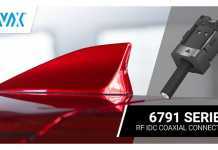 The wideband microwave VCO design allows frequencies from 62.5 MHz to 32 GHz to be generated. 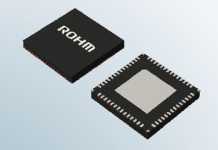 The device features the industry’s lowest jitter (36fs at 10 GHz) and reference spurious (-100dBc typ. ), together with operation to 105℃ without loss of lock. The ADF4371 and ADF4372 are supported within ADI’s popular ADIsimPLL circuit design and evaluation tool that assists users in evaluating, designing and troubleshooting RF and microwave systems. Learn more at: www.analog.com.